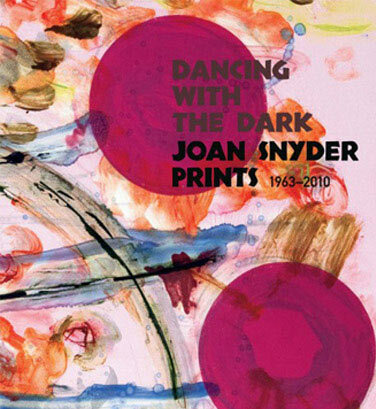 Dancing With the Dark: Joan Snyder Prints 1963-2010 is a weighty and substantially proportioned book. Its beautifully printed cover proffers glossy letters afloat on a matte sea of raspberry orbs and translucent inks. Lovely. Which may come as a surprise to those who remember the raw frenzy of Snyder’s prints of the 1980s: the howling figures of Mommy Why? (1983-84), the savage scratches of Things Have Tears and We Know Suffering (1983-84). How did we—or more to the point, she—get from there to here? What has become of Snyder’s militant expressionism? Has she become… nice? Dancing With the Dark is the hardback companion to Snyder’s print retrospective at Rutgers University’s Zimmerli Art Museum. With 112 prints made over the course of nearly 50 years, it charts the artist’s curious trajectory through critical moments in late 20th-century art. A lengthy and insightful essay by Faye Hirsch and an ‘illuminated chronology’ by Marilyn Symmes follow Snyder from the woodcut portraits and landscapes that marked her first encounter with German Expressionism in 1963 (when the cutting edge art was Pop), through her etchings of the ‘70s, which deftly recapitulated the heavier drama of her paintings (at a time when Conceptualism was the dominant discourse), to her later woodcuts, which erupted with a fury that made German Expressionism look like Victorian watercolors, just as distanced irony became the very air we breathe. It wasn’t that Snyder’s timing was off—often, as with her return to woodcut in the ‘80s, it was right on the money—but that she was always, stubbornly, speaking a different language. Fig. 1. 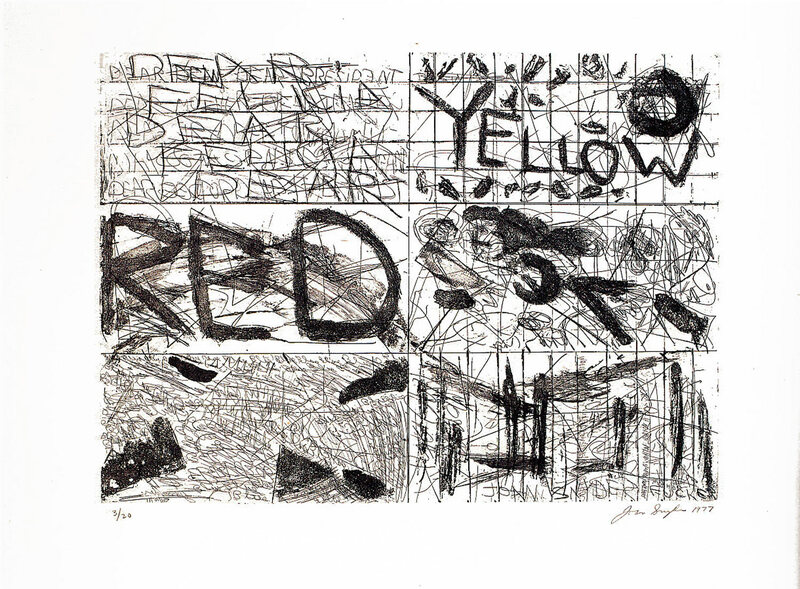 Joan Snyder, Red and Yellow (1977), etching, 39.7 x 54.9 cm. In a 1982 interview Snyder said, “What does it mean to be an Expressionist? What does it mean to be Joan Snyder? The same thing.” Such pronouncements—without nuance, discussion, or hedging—make it tempting to see her work as guileless to the point of being simple, a misreading this book effectively corrects. Fig. 2. Joan Snyder, My Work… (1997), etching and woodcut, 40 x 50.1 cm. 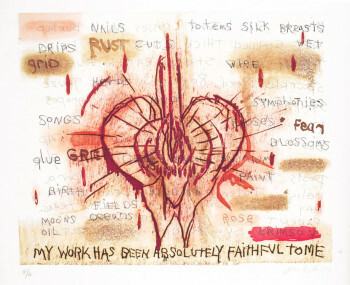 Snyder has complained, “I don’t usually get praised for writing on work like, say, Twombly or Schnabel or Rauschenberg. I get nailed, usually by being called a ‘feminist’ who ‘wears her heart on her sleeve’.” Like many painter-printmakers, she is drawn to written language: sometimes her own, sometimes borrowed from Thoreau, or Millay, or Virgil. As Hirsch observes, Snyder uses text differently than the male artists she cites: her words, “so closely linked to feminine subjects and subjectivity, have a kind of rawness that mask their formal strategies.” For Twombly words were a deflection, a gesture from the artist’s hand plotting a circuitous route to his heart. Snyder says: “I never write on a print or painting unless there is an urgency,” she says. But urgency plays out in funny ways in the prints. Prints, of course, are never as direct, and rarely as spontaneous, as paintings. They are, for want of a better term, strategic. Images have to be broken down by color, by line type, by positive or negative process; and out of the chaos of techniques and templates, order has to be reasserted and a coherent image re-produced. 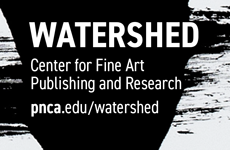 Snyder has worked with many talented printers—Andrew Mockler, Maurice Sanchez, Jennifer Melby—the kind of people who are adept at strategizing on behalf of the artist. 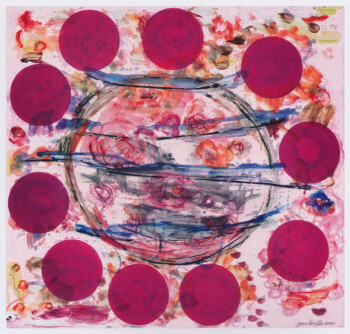 But she has also pulled her own prints on her own press, which she kept in her studio in the 80s and 90s, proof of her interest and her immersion. Snyder recognized early on that prints were a chance to riff on a theme. Take, for example, the etchings she made after her 1977 painting Resurrection. The painting is a 26-foot long, multi-panel indictment of violence against women. It begins (reading left to right) with a handwritten list of names and a collage of newspaper stories about rapes and murders, then moves through passages of angry paint to resolve, in its final panels, into bright clouds and a shining sun. The etching reproduces the structure of the painting but as a small event on a large page, an armature for blocks of color and clusters of strokes, a launching pad for addenda. Here again the book’s generous reproduction of variant proofs is illuminating: revealing a body of work, from painting to print, that is more mediated than it seems at first glance, less a political trope about violence than a psychotherapeutic narrative about the artist’s emotional response to accounts of violence. Fig. 3. Joan Snyder, Madrigal X (2001), lithograph, monotype and woodcut, 85.1 x 90.1 cm. “Printmaking,” Snyder says, “is magical, though a lot of work… You don’t know what you’re going to get.” The more comfortable Snyder has become with printmaking, the more she has cultivated layering, derivative alterations and unpredictability. By the turn of the millennium she was deploying woodcut, etching, lithograph and various monotype techniques in increasingly virtuosic, complex and nuanced constructions. The line between printing, painting and installation work has become increasingly blurred, as elements on one mode frequently appear in the other. Symmes and Hirsch emphasize the degree to which Snyder’s art is rooted in biography, in emotional responses to the events of her life. So it is interesting to note that the Madrigals were made in Brooklyn in the weeks following September 11, 2001. The prints don’t seem to channel rage or grieving or fear. Instead, they evoke, as she wrote about a related series, “a way of bringing order to my world… in times of great disorder.” It’s not necessarily “nice,” but it is a very printerly view of things.